Blockchain Technology — This technology has the potential to influence many other industries across the world, promising this new age of customer trust and optimization. Bitcoin has a great success story in this decade, and the coin was trading for almost $20,000 per coin. This technology was invented by the genius developer of Bitcoin, Satoshi Nakamoto to manage multiple transactions related to trading, buying and selling using digital currency, the evolution of blockchain transformed society, much as the internet did couple of years back. In simple terms, blockchain is nothing but a ledger of transactions. While making a purchase like bitcoin, transactions will be verified by others and is added to the ledger. While selling bitcoins, transactions will be added in a new line. Even when you purchase goods or services using bitcoins, transaction details will be added to the ledger. After adding certain entries to the ledger, a block will be completed, its nothing but a full page in ledger. This will continue, and the blocks will be added to chain. Unlike a tradition ledger, the transactions in a blockchain are permanent. The transactions will be saved for life time, when a transaction is recorded in a blockchain. Thus, all the records in a blockchain are permanent and cant be altered. So, the financial trade with Bitcoins is complete, accurate and highly secure. The blockchain is shared with thousands of computers simultaneously, and is updated in real time. This makes data verified easily and secured from unauthorized access. All the attempts to access blockchain will get failed, because the other computers wrapping it will update automatically before getting hacked, its something like a big antibodies army attacking an invasive germ. Today, the cryptocurrency is widely accepted across the world in different fields. Now, you can also play your favorite games with Bitcoins or other cryptocurrencies at Bitcoin Casinos. There are several businesses online accepting Cryptocurrencies. So, the advancement of blockchain technology is vast, and its beyond our expectation. Get ready to see numerous sophisticated technologies in near future using blockchain technology. We’ll start at the very beginning by understanding the history of Blockchain. The very first Blockchain in the world was Bitcoin. An anonymous person or group known as Satoshi Nakamoto published a document in an online cryptography forum in November 2008 and revealed the first details of how Bitcoin would work describing it as a peer-to-peer electronic cash system. The Whitepaper is available today at bitcoin.org/bitcoin.pdf. It allows any two people to pseudonymously send money to each other, no matter where they are in the world. It is a borderless currency. The main benefit of Bitcoin is that it does not require any centralized authority or institution to operate. This is in contrast to today’s centralized financial systems that depend on the existence of a central bank or government to mint money. If for any reason the central authority were to shut down, the money would become worthless. In a decentralized system like Bitcoin, there is no central authority, and the system can continue to operate as long as there are members in its peer-to-peer network. The goal of the Whitepaper was to describe how the different parts of the Bitcoin protocol would operate and be kept secure. A new type of database called Blockchain would keep track of a single history of all Bitcoin transactions and it will be maintained by everyone in the network. The database would be publicly available for anyone to view and inspect, and anyone can download a copy of this database. This provides data redundancy and makes sure that the data is never lost but also provides a way for anyone to verify the transactions in the database themselves. A Block in the database just stores a sequence of transactions, and a sequence of Blocks is called a Blockchain. Each Block is identified by an incrementing number and unique SHA256 Hash. The Hash for a Block is calculated using the transactions inside of it as well as the previous Block’s Hash which forms a chain of Hashes. The data in the Blocks is secured using a cryptographic algorithm called Proof-of-work that also keeps all members of the network and the database in sync to prevent double-spending. In this context, preventing double-spending means preventing anyone from spending money they don’t have. Proof-of-work is used to generate new Blocks for the database, also known as mining, and the reward for mining a new Block is given to the miner by creating new Bitcoins in the system. This is the only way new Bitcoins can be created. Anyone on the network can be a miner and a new Block is mined roughly every 10 minutes that includes the latest set of verified transactions. The first release for Bitcoin was version 0.1, written in C++ by Satoshi and published on SourceForge in January 2009 under the open-source MIT license. Anyone could download the source code and run it to join the network, also known as becoming a node in the network. In the original version 0.1 source code written by Satoshi, we can see the hard-coded Genesis Block which is the very first Block in the chain. The Hash for the Block can be verified by using any Bitcoin Blockchain explorer. If we copy and paste this Hash into the Blockchain explorer available at Blockchain.com, we can see that this Hash is for Block #0 and that it has only one transaction in it which is the mining reward, and the reward in amount of 50 Bitcoin was given to this Bitcoin address. We can also see this 50 Bitcoin reward for the Genesis Block in the original source code. The Genesis Block is a special case needed to start the Blockchain and is the only Block that is hard-coded whereas every subsequent Block is calculated using proof-of-work. Satoshi’s motivation for creating Bitcoin is revealed in the piece of data that he included in the Genesis Block. A newspaper headline from The Times read ‘Chancellor on the brink of second bailout for banks’. The date of the newspaper was a proof that the Genesis Block was created on or after January 3, 2009. Satoshi developed the source code mostly himself up until mid-2010 when he handed it off to the open-source community. It is now maintained under the project called BitcoinCore. The software is currently at version 0.15.1 and is available for download at Bitcoin.org. This is still the most popular Bitcoin client today and is estimated that there are over 10,000 nodes running the Bitcoin network using various clients. Satoshi disappeared from public view in late 2010, and his identity still unknown to this day. The only way someone could prove that they’re Satoshi is by using the same encryption keys that he used when posting the original Whitepaper in the online cryptography forum. To send a Bitcoin transaction, you first need to have a Bitcoin account. An account can be created very easily by generating a cryptographic key pair which generates a public key and a private key. A Hash of the public key is used as your account address, and your private key is kept secret to prove that you have ownership of this account. In order to send any Bitcoin, you first need to get some from someone else. This could be a friend you know or an online exchange you trust. To send a Bitcoin from your account, you would broadcast a message to the Bitcoin network that included the amount and the destination account. Before broadcasting, you would sign the message using your private key to prove that you are authorized to make this transaction for the account. Your transaction would be broadcast to the Bitcoin network nodes including the miners who verify that it is correctly formatted. The nodes distribute all broadcast transactions and Blocks to each other in the network creating a shared database of Blocks and transactions. When a transaction is first received by the network, it is considered unconfirmed. After the transaction is included in a new Block by a miner, the transaction is considered final and confirmed. The more Blocks that exists after your transaction’s Block, the more secure your transaction is considered to be. This is because a certain amount of computation power is required by the network miners to create each Block. Miners do this using the Proof-of-work algorithm to calculate the next Block’s Hash, which is a computationally expensive problem that takes about 10 minutes to solve. To modify the transactions in the Blockchain history, you would have to control the majority of computation power on the network, in other words 51% of the computation power. As long as honest nodes control more computation power than any other group of attacking nodes, the database will remain secure. 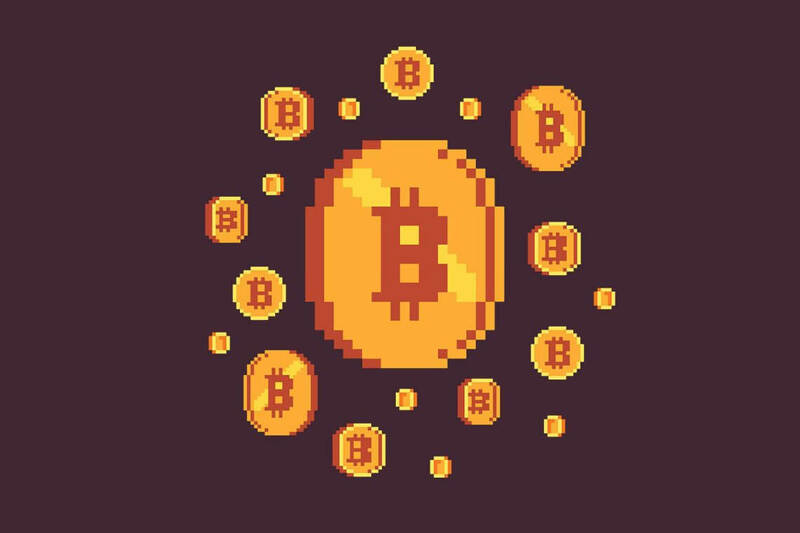 For all of Bitcoin’s popularity, it still has scaling hurdles to overcome. The current throughput of the Bitcoin network is less than 7 transactions per second. Contrast this with Visa that processes several thousand transactions per second. The reason for Bitcoin’s scaling problem is the Block size limit, which is currently 1 megabyte. This puts a limit on the maximum number of transactions that can be included in a 1-megabyte Block which can drive up transaction fees and delay verification times during peak network activity. Issues like this have prevented mass adoption of Bitcoin as a practical currency you could use for everyday purchases, but it hasn’t stopped some people from doing so. In July 2017, an improvement proposal called SegWit was deployed to the Bitcoin Blockchain aimed at tackling these scaling issues. In a nutshell, Segwit allows fitting more transactions into a Block and also enables another near-future scaling solution called the Lightning Network. Other proposals of improving the network include doubling the Block size limit to 2 megabytes, but changes like these must be agreed upon by a majority of miners on the network. A miner’s computation power is the amount of weight their vote is given when considering changes to the Bitcoin protocol. Bitcoin is actually two experiments combined into one. The first part of the experiment is this new type of cryptographically secured database called a Blockchain. The second part of the experiment is a money application built on top of the Blockchain called Bitcoin. While most people focused on Bitcoin and its price, a few people understood that the real innovation here was the underlying Blockchain database. They began to wonder what other applications aside from Bitcoin could be built on top of this new type of database. A generalized Blockchain can be described as a peer-to-peer network that maintains some shared state. In the case of Bitcoin, the shared state is the sequence of transactions, but the data can be really anything you want. The data is stored in a singly linked-list data structure. A Block can only be added to the end of the list and cannot be modified after being added to the list. Each Block also points to the Block that came before it. The only exception to this rule is the Genesis Block, which does not point to any other Block. Hashing is used to guarantee the integrity of the data stored in the Blocks, meaning that once data is added to the Blockchain, it can never be modified. If the data is modified, the Hash of the Block would change as well as the Hash of any subsequent Block, so tampering can be caught easily. The rules for creating a new Block are called a Consensus protocol that usually defines a reward for creating Blocks to incentivize people to do so. For Bitcoin, the Consensus protocol is called Proof-of-work. Following Bitcoin’s release, several spin-off projects were created that took the Bitcoin source code and modified it for their own use cases like Namecoin and Litecoin. The question they were trying to answer was: If a digital token could be used to represent some monetary value like Bitcoin, what else could a digital token be used to represent? Could it be used to represent other things of value like property or domain names? All of the spin-off projects had one major problem: they had to start their own Blockchain for their particular use case. This is no easy task as a Blockchain requires a fairly large community of peers to maintain and be useful. The existing Bitcoin Blockchain couldn’t be used because it was not designed to support a variety of different use cases. If there somehow existed a single Blockchain that was designed to be generalized enough for anyone’s use case, it would help a lot more people start Blockchain projects. This was the key insight that led to one of the biggest Blockchain innovation since Bitcoin, which is Ethereum. Your post captures the issue pecefrtly!